Build your dream home in one of the most peaceful, upscale private gated communities in the heart of Old Spring Hill Garden Trace. This exclusive subdivision is minutes from St. Ignatius, Mary B. Austin and St. Pauls, and convenient to the finest shops and eateries in the Village of Spring Hill. 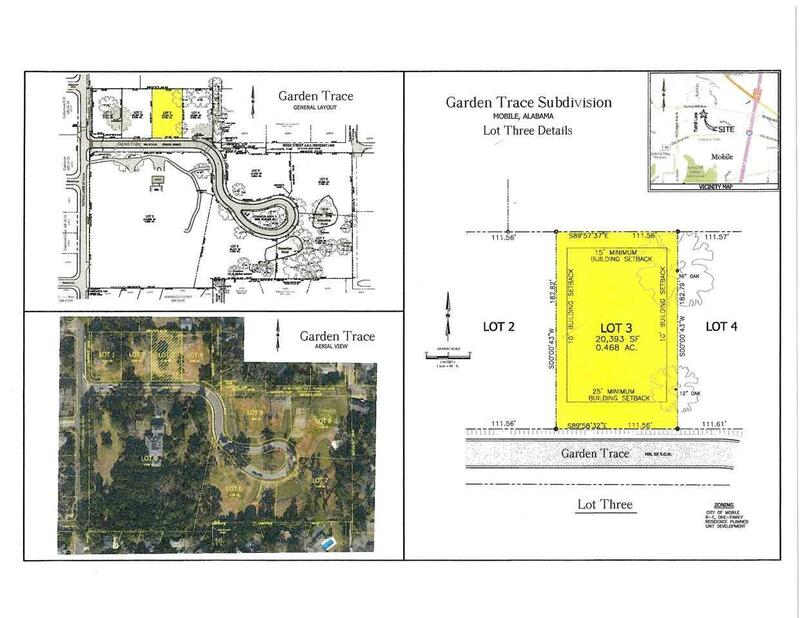 Consisting of 8 total home sites, Garden Trace lots are each approximately acre in size. 100% Utilities are underground. 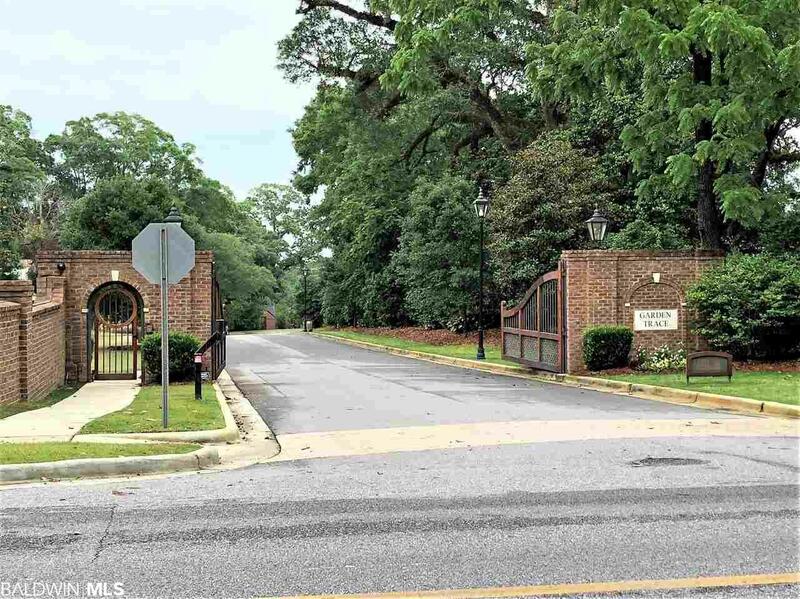 A handsome arched brick entrance featuring a custom gate, clad with Brazilian IPA hardwood sets the tone for the pastoral setting found within Garden Trace. Bevolo hand-crafted gas lighting fixtures accent both sides of the gated entrance fronting Tuthill Lane. Additionally, custom Bevolo hand-crafted LED street lights are placed strategically throughout the approx. 8 rolling acres that comprise this pristine development. Sidewalks with paver-featured crosswalks; extensive landscaping, and distinctive ponds grace this impressive Spring Hill subdivision. Covenants and restrictions are in place to preserve congruent architecture and the placement /size of structures throughout the subdivision. Dont let the opportunity to build on such a lovely large lot pass you by! Listing provided courtesy of L L B & B, Inc.. Listing information © 2019 Baldwin County Association of REALTORS® MLS.